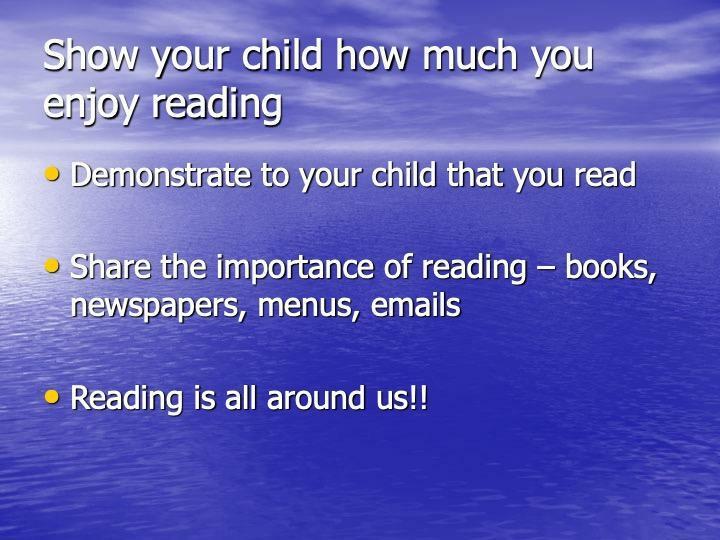 In school we place the enjoyment of reading at the centre of what we do. 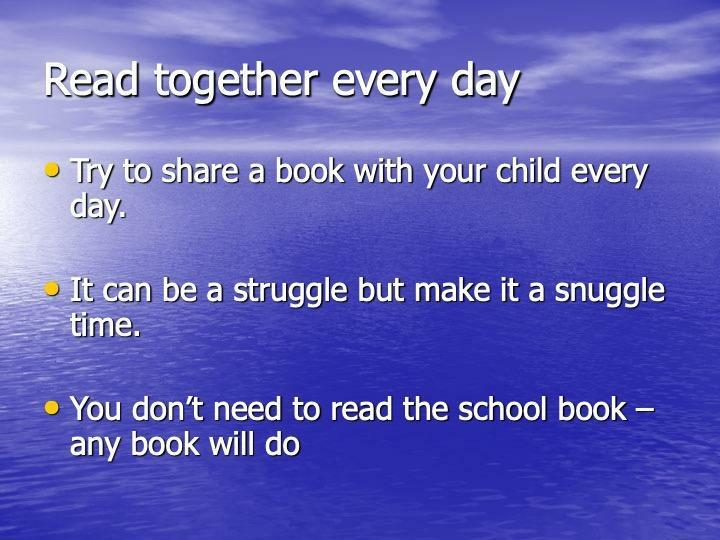 We share books with children as soon as soon as they come to school and continue to do this throughout their school life. Reading to children develops their understanding of language and allows children to step into the world of information or imagination. 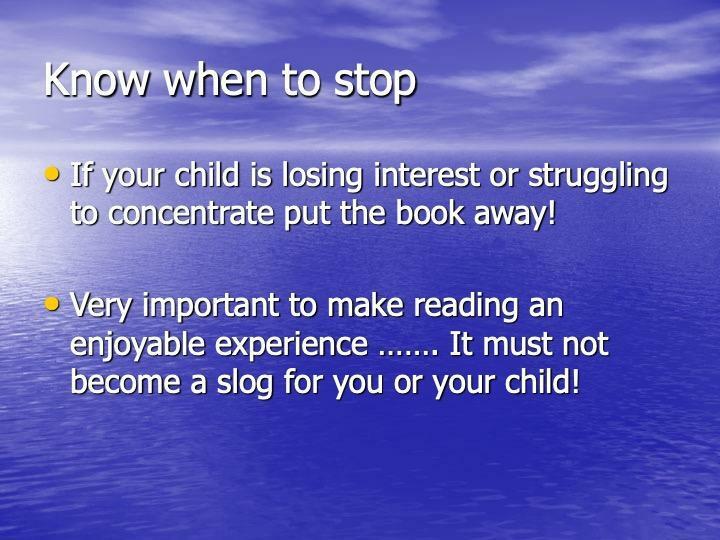 Please scroll down to find out ways in which you can get your child reading successfully at a young age. 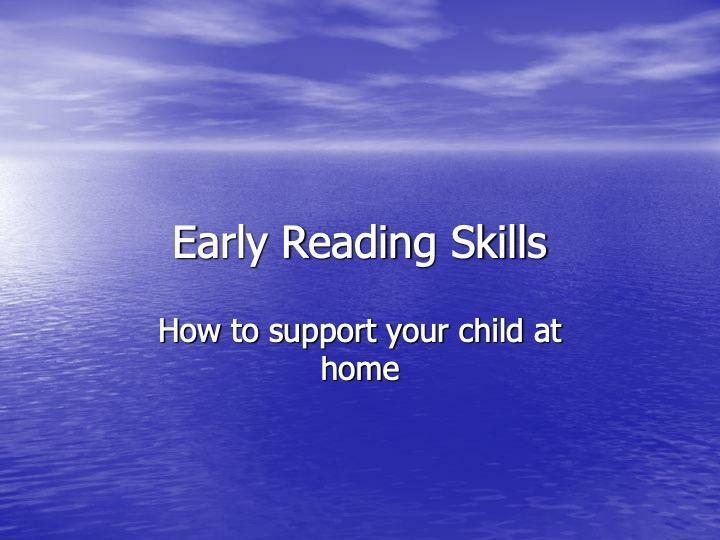 As your child begins to read they will progress through books that are suited to their reading ability. 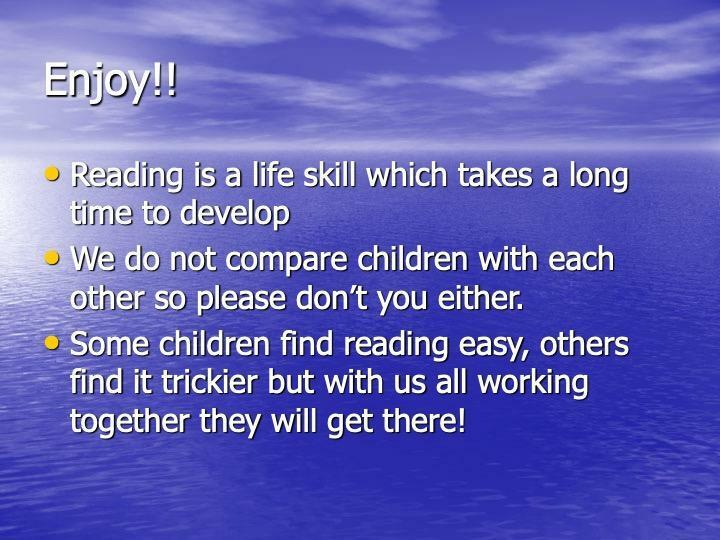 These reading books are graded by difficulty based on reading levels known as Book Bands. Each Book Band has its own colour. To begin with these books may only have illustrations to allow your child to create their own story, words and sentences will then be progressively introduced. Following reading assessments carried out regularly your child will be given a new reading book on a colour band based on their reading level. When they need to change their reading book they will then be allowed to choose another book themselves from the appropriate coloured band. This way they are given control of their own reading within a controlled range. Once your child is assessed to be confident in this coloured band they will be moved onto the next colour. Below are the reading strategies associated with each band. Locate title, open front cover, turn pages appropriately. Understand that left page comes before right. Understand that we read print from left to right. Match spoken word to printed word. Locate familiar word and use to check own reading. Use the meaning of the text. Predict the story line and some vocabulary. 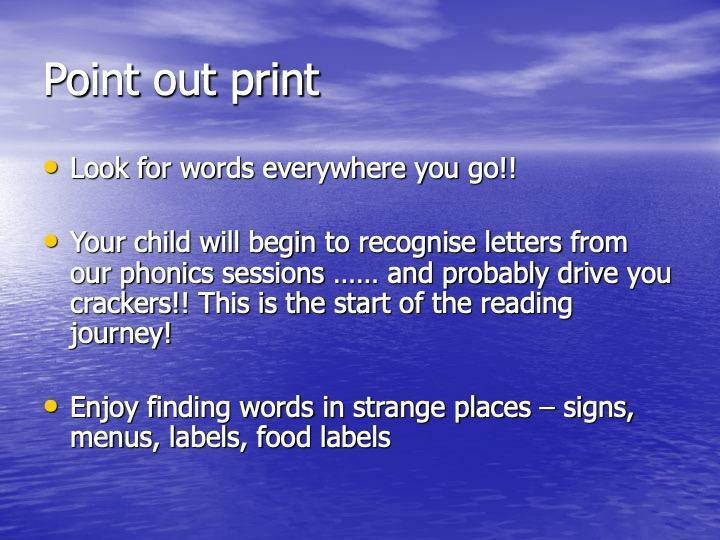 Be able to track words whilst reading them. Use known words to check and confirm reading. 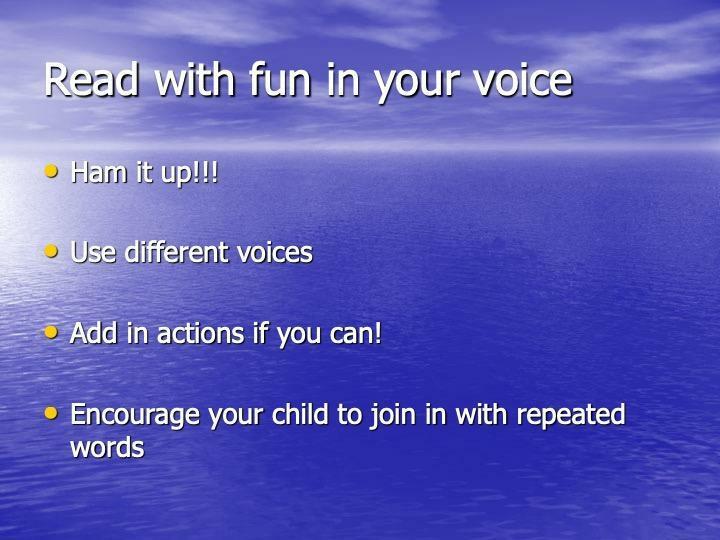 Repeat words, phrases or sentences to improve fluency. Follow print with eyes only, finger pointing only at points of difficulty. Take more note of punctuation to support the use of grammar. Note familiar words and use these to get unknown words e.g. Look-took. Solve new words using print information along with attention to meaning. Manage a greater variety of text types. Discuss content of the text in a manner indicating precise understanding. Read fluently with attention to punctuation. Manage effectively a growing variety of texts. 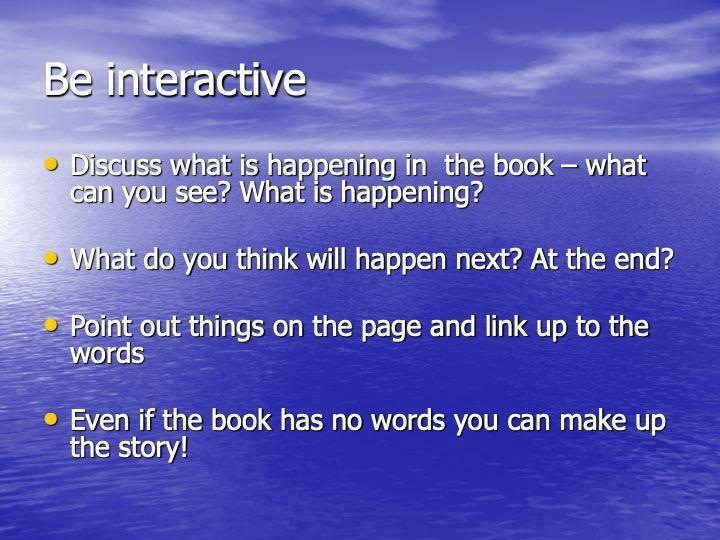 Discuss and interpret character and plot more fully. Read longer phrases and more complex sentences. Identify and use a range of punctuation. Search for and use familiar syllables within words to read longer words. Use punctuation and text layout to read with a greater range of expression. Sustain reading through longer sentence structures and paragraphs. content, layout and story development. Read silently or quietly at a more rapid pace, taking note of punctuation and using it to keep track of longer sentences. Adapt to fiction, non – fiction or poetic language with growing flexibility. Solve most unfamiliar words on the run. Adapt to fiction, non-fiction or poetic language with growing flexibility. 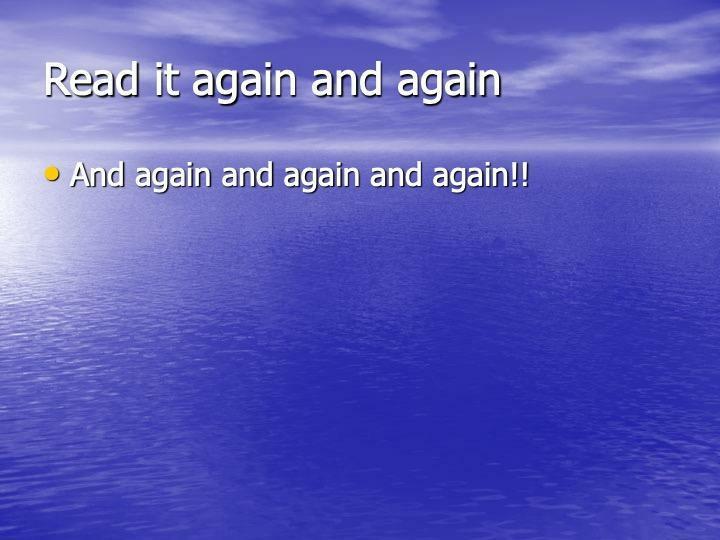 Sustain interest in longer text, returning to it easily after break. Search for and find information in texts. Notice the spelling of unfamiliar words and relate to known words. Show increased awareness of vocabulary and precise meaning. Express reasoned opinions about what is read. Recognise text type and predict layout and general content. Take notes and devise ways to remember meaning and spelling of words. Investigate and identify the styles and voice of a range of different text. types including plays, poetry, narrative and explanatory texts. Develop comprehension skills including fact retrieval, inference and prediction. Use evidence from the text to support ideas. 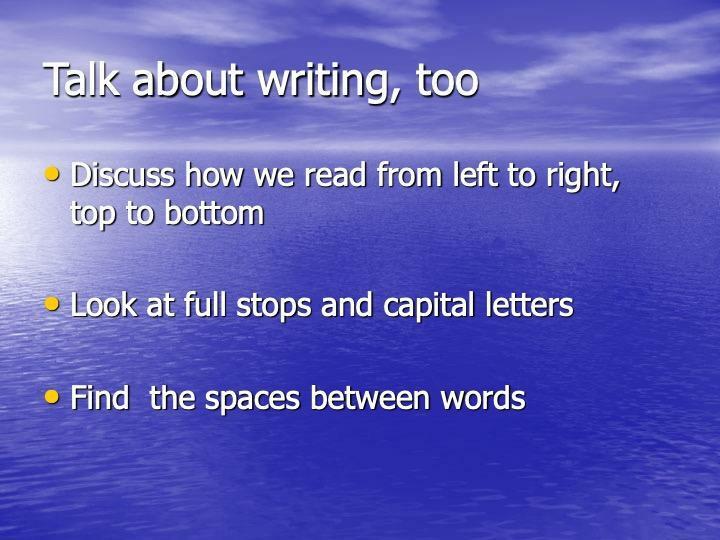 Begin to see links between themes and styles of writing.